Ed Boon and his NetherRealm cohorts have been hard at work making the follow up to 2015’s Mortal Kombat X, and we’re almost within touching distance of the final product. 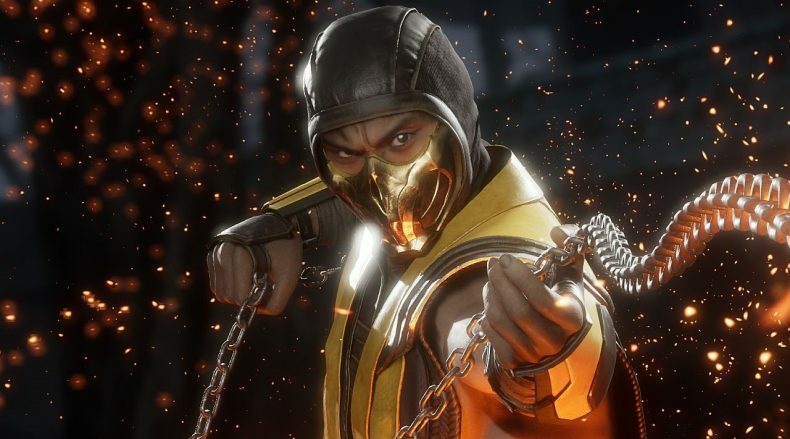 Whilst it’s not far away at all, we were lucky enough to get a taste of Mortal Kombat 11 thanks to the closed beta. Even though there are only five fighters available and two modes, it’s crystal clear just how incredible this game has the potential to be. The beta offered fans the chance to play the original five-character tower progression mode, Klassic Towers. Towers of Time (the sole tower available) lets you pick either Scorpion, Baraka, Jade, Kabal, or Skarlet, and battle against each one until you emerge victorious. What was instantly noticeable is just how much more polished the fighting is. Each character offers a unique style, making it rather straightforward to isolate your main and absorb their moves list, utilising it for your own personal gain. Scorpion feels incredibly balanced, but his combos flow seamlessly, making full use of his chain and dagger as well as his speed and striking. 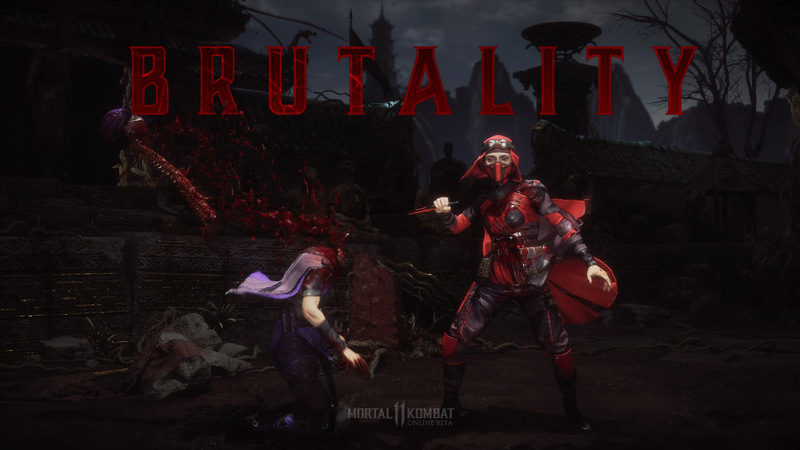 Skarlet isn’t as good with her hands, but the blood magic she uses makes sure other characters don’t get too close, giving you plenty of opportunities to frustrate your opponent. Kabal is much faster, swinging his double blades with vigorous aplomb, and trying to keep away from his brutal assault will prove difficult for some. Jade’s bo staff and varied mid-range attacks make her a solid choice for anyone not entirely sold on the rest of the fighters. Finally, Baraka may be a little slower, but his Tarkatan blades are utterly savage, with striking being a huge factor in the amount of damage he can inflict. Currently, I’m a huge fan of both Scorpion and Kabal. Both have solid combos and versatile specials, but not only that, they have some pretty glorious fatalities. When it comes to delivering the final move that leads to your opponent’s grisly end, the inputs feel simplified, and with a 10-second window you have a few chances to get it right. One of Scorpion’s fatalities sees you charge through an opponent’s sternum leaving nothing but a bloody spine, followed by you chopping their head off, kicking it into the air, and throwing your blade on a chain through the air, impaling it from the back of the skull. It’s brutal, satisfying, and wonderfully animated. Mortal Kombat 11 is visually appealing in every way. 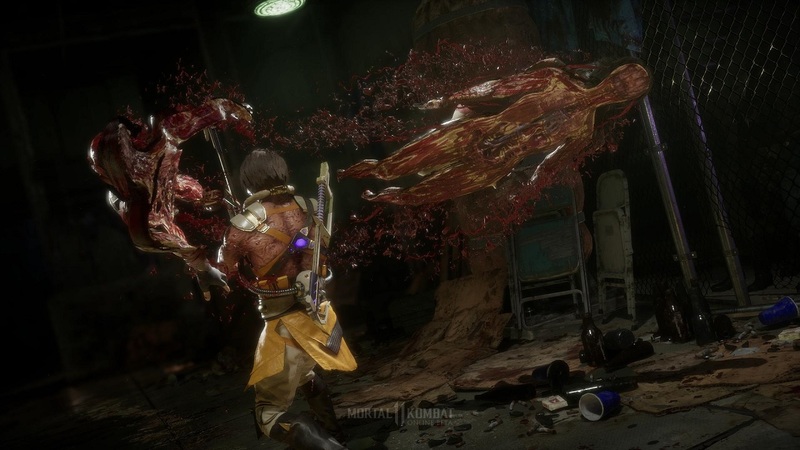 From the amount of detail in each stage to the way you paint the screen with blood, NetherRealm Studios has made something truly special for those that adore gore and severed body parts. Fatal Blows show every broken bone and swollen organ thanks to the blunt force trauma you inflict, showcasing a heavy combo in gorgeous cinematic style. This helps to level the playing field. It’s activated in the same way Injustice 2 gave each character a Super Move when pressing the two trigger buttons together, except this time it can only be used once in every match. There’s a real sense of satisfaction upon victory because you’ll only succeed if you utilise every facet of your fighter’s arsenal. Simple strikes, special moves, and your Fatal Blow will help, but knowing how to use them is where the skill lies. Using certain moves that stun opponents are beneficial to then firing off untouchable combos, and making use of the air and environment will also aid you in a fight. Pressing R1 at certain points in combat will allow you to rip off parts of the scenery, kick your opponent’s heads into nearby objects (such as a car and a catus), or even allow you to run up the walls and jump off for a brief respite. There’re plenty of elements to Mortal Kombat 11 that you must learn in order to win, and I adore it so much. The other mode available was online matchmaking, and for saying it’s a beta, I managed to find an opponent sharpish without any lagging whatsoever. That’s something NetherRealm managed to succeed with in Injustice 2, so I hope the game’s full release will include solid servers; lord knows how many other fighting games have suffered in the past with terrible matchmaking (I’m looking at you, Tekken 7). Finally, the beta let me take a look at what the customising is like. Each fighter can choose between different outfits, intro videos, taunts, special moves, and final match cutscenes. Whilst augmentation wasn’t available, there seems to be plenty to unlock which’ll make your characters look as cool as a cucumber. Not only can you change all of this, but each fighter’s AI can be changed, so if you prefer fighting someone who isn’t using aerial combat, adjusting the sliders here can make that happen. There seems to be a lot here to keep you occupied, and I for one will be making full use of the augmentation and ability to change my specials to suit my play style (ground combos and close-range moves FYI). 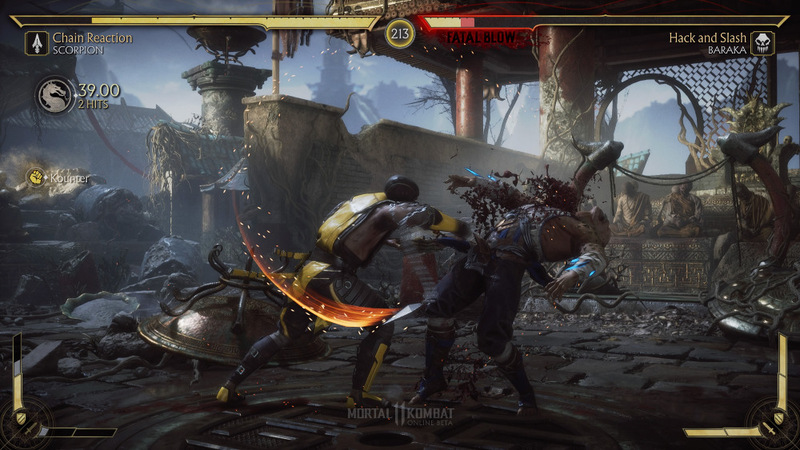 When it comes to the bare bones of fighting games, both literally and figuratively, Mortal Kombat 11 feels amazing so far. I’m so excited to play the finished product, experimenting with every character to find my favourite, see much more of the customisation, and play the story mode in its entirety. For now, though, the beta showed me just how good NetherRealm has become at making intricate fighters that appeal to everyone, throwing in heaps of gore and fascinating characters at the same time. Roll on release day!